Thinking Out Aloud: What is it about money? Why does money make perfectly sensible economists and economic commentators forget elementary economics? Money is a good. Fine, it is a special type of good, it is a transaction good--something used to facilitate transactions. We use money, not because it has production or consumption utility--the paper or polymer notes we use as money has no interesting element of either--but because it has transaction utility (expected utility in future transactions). Since the supply of money need not be fixed--the joy of a token-money central bank is it can produce any amount of the tokens we use as money--there is no necessary effect for any amount of extra productivity to do anything to the price (i.e. swap value) of money. Productivity and output tell you nothing on their own about the swap value of money and thus the price level. If you don't believe me, ask the Zimbabweans. 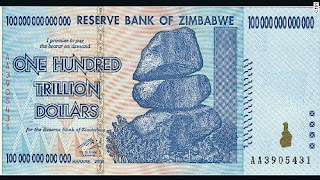 Zimbabwe has no currency of its own any more (Wikipedia labels its currency as "various"), because its central bank under Governor Gideon Gono was so profligate in printing money that hyperinflation got to an estimated 6.5 sextillion % in November 2008. In January 2009, Zimbabweans were legally able to use other currencies and shortly thereafter the Zimbabwean government stopped issuing currency. Whatever was happening to Zimbabwean productivity was rather beside the point in the face of such currency profligacy. Yes, there was a prolonged deflationary period in the latter C19th. The US, Germany and France all went on the gold standard in 1873. Under the gold standard, the price of gold sets the the price of money since money has a set exchange of rate of money into gold. So, if output of goods and services rises faster than the stock of gold--as happened in the gold zone from 1873 to 1896--then there will be deflation. Conversely, if gold production outstrips growth in output of goods and services--as happened from 1896 to 1914 due to the Kalgoorlie/Coolgardie and Klondike gold rushes coming on top of the earlier Witwatersrand gold rush--then there will be inflation. Sure, rising output and increasing productivity put downward pressure on prices. But whether this will have deflationary consequences depends on what is happening (and expected to happen) with money. Kohler is breaking Sumner's dictum--never reason from a price change. (Or, in this case, a price level change). Price, it is a supply AND demand matter. Including for money. Money may be special, but it is not that special. The gold zone deflation followed by the gold zone inflation were a gold-production and goods-and-services-output story, not just a goods-and-services-output story. Germany was in the process of industrialising: it could import millions of peasants into its cities, and did. The US was also in the process of industrialising and incorporating its westward expansion into its economic system. It could import millions of migrants into is cities, and did. In other words, Germany and the US had lots of inputs to add to their industrialising economies. Germany also received the institutional and transaction cost benefits of unification while the US received the institutional benefits of establishing a stable post-Civil War constitutional regime with the Compromise of 1877. To a significant extent, Germany and the US experienced "good deflation" (the downward pressure on prices of expanding output due to expanding, and more efficient use of, inputs). In other words, their aggregate supply curves kept shifting rightwards (i.e. producing more for a given price level). Pausing here, if it is all about rising productivity, how did savers "make sure" deflation happened? By insisting on a certain monetary policy regime perhaps? Of course, a collapse in income expectations and income also becomes rapidly a problem for creditors, as their debt-assets (one person's liability is another person's asset) become increasingly threatened the sharper and more sustained the collapse in income and income expectations is. The problem with the Great Depression was "ugly" deflation--a massive and sustained drop in prices leading to a massive and sustained drop in income (since income = price x quantity) leading to mass insolvencies and financial collapses and crises. Why was there a massive drop in prices? Because central banks (led by the Bank of France) hoarded gold, driving up its price, and therefore the price of money--which was at fixed exchange rates to gold--therefore driving down the price level in the gold zone (since the price level is the reciprocal of the swap value of money). Which then drove down incomes. As it happens, there is a productivity price norm (pdf) which Hayek and Keynes almost agreed on (pdf) where productivity shifts drive monetary policy. Keynes was a firm supporter of a stable price level; Keynesianism may be associated in some quarters with inflationary policies but, in this matter, Keynes was clearly not a Keynesian. A case of Etienne Gilson's point that the conclusions of the master are the premises of the disciple (who therefore fail to end up in quite the same place). But the productivity price norm is an explicit monetary policy regime, it is not some "natural" consequence of rising productivity. The secular trend to low interest rates over recent decades are a product of rising incomes in China, India and most of Asia in between, leading to high savings rates. So saving has been "pushing on" investment, in a low inflation environment, hence low interest rates. Low interest rates are usually a sign that money has been relatively tight (i.e. the expected path of money is low compared to the expected path of output). So, once again we are back to supply and demand and the monetary policy regime. Kohler's story of central banks heroically fighting the threat of rising productivity is fairy tale stuff. Worse, it is a fairy tale that allows central banks to evade responsibility for their actions. But ignoring the role of money and monetary policy in economic cycles does that. Acknowledging that supply and demand matter for money too--a point of elementary economics--would be a good start. Lorenzo: Yep. Good clear post. I had a similar reaction on reading that Alan Kohler article. "Yes, there was a prolonged deflationary period in the latter C19th. The US, Germany and France all went on the gold standard in 1873. Under the gold standard, the price of gold sets the the price of money since money has a set exchange of rate of money into gold. So, if output of goods and services rises faster than the stock of gold--as happened in the gold zone from 1873 to 1896--then there will be deflation." This depends on the elasticity of demand for gold. The move to the gold standard made demand for gold more inelastic, so movement in GDP might actually exert a greater effect on prices than otherwise. According to my own estimates, after the gold rush, but before 1873, the elasticity of prices with respect to GDP was less than 1. When the range expands to 1896 or beyond, the estimate rises to about 1.5. Production could not have had this sort of impact on prices if base money substitutes for gold were not excluded. Even "good" deflation is not necessary deflation. In fact, decreased elasticity of demand for gold is what led to the gold standards destruction. I was abstracting away from the issue of shifts in the demand for gold (until I got to the Great Depression). Nor is it surprising that expanding the monetary role of gold would tend to make demand for it more inelastic and interact more strongly with changes in output. And yes, I found Milton Friedman's argument that bimetallism would have been stabilising quite plausible. I sometimes wonder if the BoE's role in 1873-1914 was to stabilise demand for gold. Using the G = kPy equation, its primes inter pares role would there to have been to make sure k did not shift around too much, a role that the interwar Fed failed to fulfil after Strong's death. "I sometimes wonder if the BoE's role in 1873-1914 was to stabilise demand for gold. Using the G = kPy equation, its primes inter pares role would there to have been to make sure k did not shift around too "
That's worth considering. I plan to get in to Sayer's volumes on the BoE some time during the next year. Even a rudimentary understanding might encourage that, although the attempt, if it occurred, could throw other factors out of balance. And coordination of policies with other banks would be prerequisite. 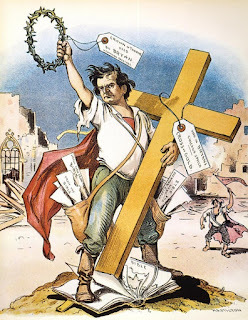 That is what happened after 1913. It is especially difficult for independent central banks to coordinate policy. 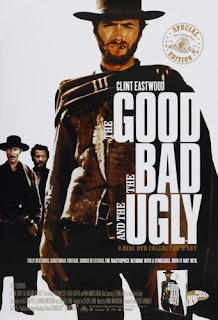 Continuing that line of thought, the "rules" of the classical gold standard would then have been a way for central banks to manage expectations about their behaviour (especially to each other). What seems tricky to me though is that what the demand for money in a deflationary depression is quite different from the tight-money, high interest rate, pinch point that can foreshorten booms. The latter is a demand for monetary base needed for settlements the former is a demand for any sort of risk free broad money. It is very hard to satiate demand for broad money by increasing the monetary base isn't it? In the 1930s, not long after the (successful) initial devaluation of the USD versus gold, the US actually needed to buy up gold so as to prevent the USD appreciating back up versus gold and that was when interest rates were near the zero bound. What I'm trying to say is that broad money is perhaps not a "good", rather (in its store of value role), it is an asset. As such its value comes from its ability to carry purchasing power through time until it can be used to buy say stocks once those are at a bargain price. Just as with any asset, having more of it around isn't what sets the price, its capacity to earn its way is what sets the price. If half of the companies in the SP500 were entirely bought up by a sovereign wealth fund, then after a year or so when things had settled down, the prices of the remaining stocks would not be altered. They would be worth what they earned and not overvalued "because there were fewer stocks being chased by the same amount of money". Goods are quite different from assets, goods get made and consumed, we want them for what they are not for transporting purchasing power through time. I guess collectables are a weird other class again because they neither earn nor get used up. I guess bitcoin and beanie babies are collectables. Perhaps houses are too. I don't think broad money can be thought of like that though.